Performance is an integral part of any learning experience. I have two studio recitals each year, one in December and one in May. 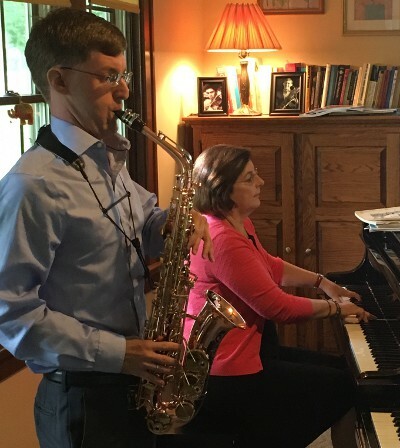 I also maintain an active performance schedule with vocalists, instrumentalists, and pianists at Michigan State University, the East Lansing community and throughout Michigan. Many of my students participate in different festivals and competitions which promote positive performance experiences rather than stressful competitive situations. I believe in preparing the motivated students for these events. I do not feel that these situations are designed for every piano student. 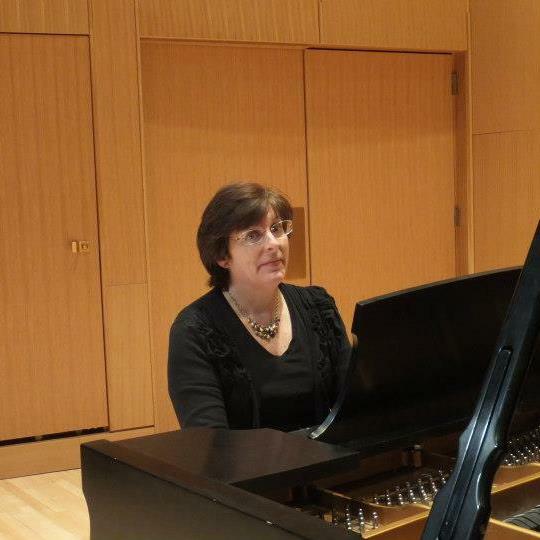 Due to my active membership in MTNA, MMTA and CAMTA, my students participate in Student Achievement Testing and The Eileen Keel Sonata/Sonatina Competition. Below is a list of students who have been recognized recently. 2018: MMTA State Finalist - Honorable Mention - Rebecca W.
1st Place 6th-8th grade Sonatina Competition - Rebecca W.
2017: 2nd Place in up to 5th grade Sonatina Competition - Rebecca W.
2nd Place in 6th - 8th grade Sonatina Competition - Ren M.
Honorable Mention in 6th - 8th grade Sonatina Competition - Aiden S.
Honorable Mention in 6th - 8th grade Sonatina Competition - Ethan L.
2016: MMTA State Finalists - Aiden S., Level 5, Ethan L., level 4. 2nd Place in up to 5th grade Sonatina Competition - Rebecca W.
1st Place in up to 5th grade Sonatina Competition - Aiden S.
Honorable Mention in 11th-12th grade Sonata Competition - Melissa Barros. Honorable Mention in 6th-8th grade Sonatina Competition - Ren M.
2014: Second Place in 11th-12th grade Sonata Competition - Melissa Barros. 2013: Second Place in 9th-10th grade Sonata Competition - Melissa Barros. 2012: MMTA State Finalist - Micah Ng, Level 9. First Place in the up to 5th grade Sonatina Competition - Ren M.
Honorable Mention in the 11th-12th grade Sonata Competition - Micah Ng. 2011: Honorable Mention in the up to 5th grade Sonatina Competition - Andrew B. SAT Honors Recital - Mackenzie Johnson Level 9, and Micah Ng Level 8. 2007: 2nd place in the 11th-12th grade Sonata Competition - Nicolas Lira and 2nd place in the 7th-8th grade Sonatina Competition Mackenzie Johnson. Eligible SAT students who have high scores will perform at MMTA Semi-Finals each year in April.